Living an active lifestyle has always been in my blood, even from a young age. I was a cheerleader all four years of high school, and when I got to college I started getting serious about lifting. Halfway through my college career, I switched my major to Exercise Science, and it was truly the best decision I could’ve made for myself. With the dream of a career in Physical Therapy, I studied a lot of kinesiology, physiology, and corrective exercise. But it wasn’t until my last semester that I was exposed to working with children with physical disabilities through a local non-profit, and after that day, I recognized my true calling. 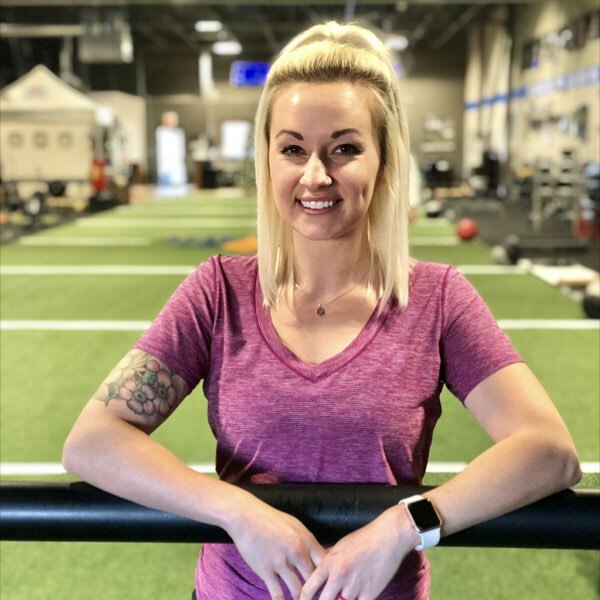 I fell in love with adaptive fitness, and I have made it my life goal to not only provide adaptive athletes with fitness opportunities, but to also change the stigma that people with disabilities can’t exercise. I worked for the local non-profit as their Adaptive Fitness Manager for 4 years, gaining as much knowledge and experience as I could working with people of all ages with physical disabilities. Here, I have trained over 4,550 sessions with both athletes with a physical disability and able-bodied athletes. I graduated in 2015 with my Bachelors in Exercise Science, and from there I became certified as an Exercise Physiologist (EP-C) from American College of Sports Medicine (ACSM). After that, I studied to receive my certification in adaptive fitness as a Certified Inclusive Fitness Trainer (CIFT) from American College of Sports Medicine.